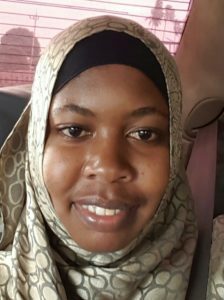 Ms. Mwanaidi Ally is a CPA (T) 2015, holds first class Cachelor of Commerce degree in finance 2011, from Dodoma University. Currently she is working as treasury management accountant from March 2016 to date, managing and leading treasury office on day to day activities. These include cash forecast, execution of cash & bank payments using ERP system, management of cash and banks maintained by IHI. Previously she served as: 1) a project accountant (June 2015 to Feb 2016) managing approximately 15 projects, dealing with budget control, reports and daily activities related to financial issues, 2) financial accountant (March 2012 to May 2015) reviewing and posting of financial transactions in the accounting system, and 3) revenue accountant (Sept 2011 to Feb 2012) billing of projects for services rendered to them as well as receipts issuance for funds received from donors. Recently she has also attended a Diploma course in IPSAS.